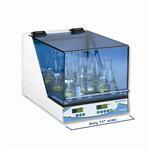 The new Incu-Shaker™ Mini is the most compact shaking incubator in its class. Despite the remarkably small footprint, a large 11.5 x 9.5 in. work space accepts several platforms for use with a variety of flasks, tubes and other common vessels. The standard platform (included) features a non-slip rubber coated surface, ideal for tissue culture flasks, petri dishes and staining trays. 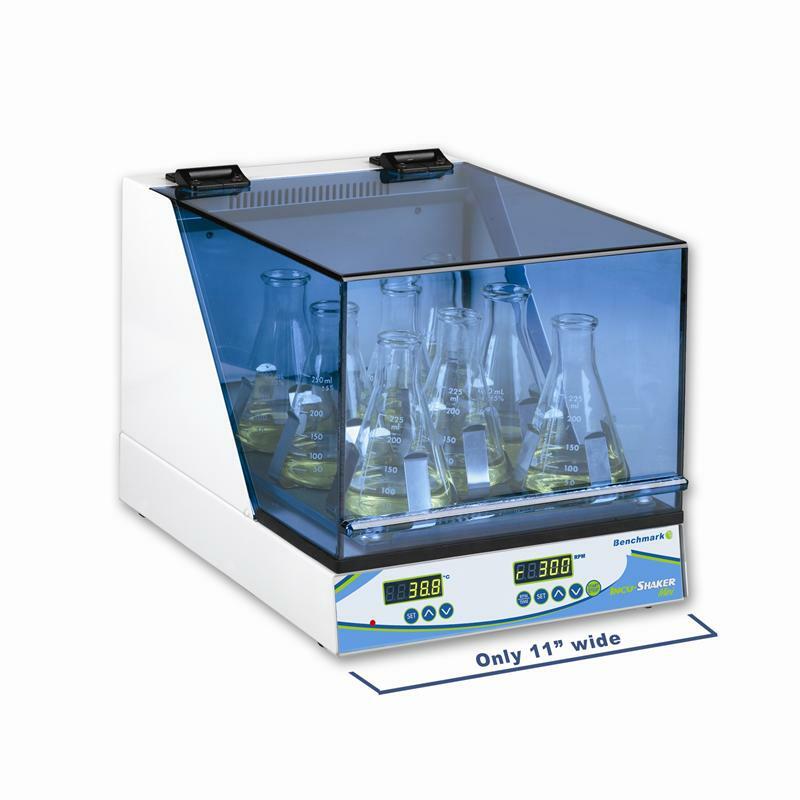 The convenient MAGic Clamp™ platform is also available for use with Erlenmeyer flasks and test tube racks. The unique, magnetic attachment method is the easiest way to instantly change between flask clamps of different sizes. Temperature, shaking speed and run time are displayed on the large LED control panel located on the front side of the unit. The integral microprocessor includes a constant monitoring system that ensures accuracy through the duration of the program. Sophisticated over-temperature and over-speed controls ensure long life, safety and sample integrity.